Scholarship America’s Dream Award is a unique renewable scholarship fund for students in their sophomore year of college and beyond. Too often, students receive ample scholarship aid during their freshman year—but too little to keep them in school beyond that. The Dream Award is a national initiative to help ensure talented students with high financial need can afford to complete the degree programs they’ve started. In the last five years, Scholarship America has awarded over $1 million in Dream Awards to 54 students, with scholarships ranging from $5,000 to $15,000 based on the individual student’s financial need. Selecting the recipients of the Dream Award is no easy task. We are proud to have a world-class group of education leaders and luminaries serving on the Dream Award Selection Committee—and we’d like to introduce them. Dr. Martha Kanter (Selection Committee Chair) leads the College Promise Campaign, a national initiative to increase college access, affordability, quality, and completion in American higher education, starting in America’s community colleges. She specializes in policy efforts to identify and apply innovative, evidence-based education interventions, financing models and behavioral incentives to raise America’s high school and college graduation rates. From 2009-2013, Kanter served as the U.S. Under Secretary of Education, overseeing all federal postsecondary statutory, regulatory, and administrative policies and programs. Bob Ballard has been Scholarship America’s president and CEO since September, 2015, and has had more than 30 years of higher education finance experience. Prior to joining our organization, Ballard served as senior vice president, philanthropy at USA Funds, with past leadership roles at Sallie Mae, Citibank and EDULINX Canada Corporation. 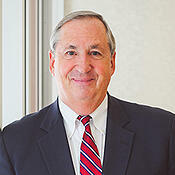 Ballard previously served on the board of Scholarship America as vice chair, and is the immediate past board chair of Indiana Dollars for Scholars. He currently serves on the boards of the College Promise Campaign, the National Scholarship Providers Association and Bottom Line, and is a retired U.S. Navy Commander. Dr. Mildred García, president of the American Association of State Colleges and Universities (AASCU), is an advocate for public higher education at the national level, working to influence federal policy and regulations on behalf of member colleges and universities; developing collaborative partnerships and initiatives that advance public higher education; and directing a strategic agenda that focuses on public college and university leadership for the 21st century. She is the former president of California State University, Fullerton and California State University, Dominguez Hills, and the first Latina to lead one of the six presidentially based higher education associations in Washington, D.C.
Sarita E. Brown is the co-founder and president of Excelencia in Education, a not-for-profit organization accelerating Latino success in higher education by linking research, policy, and practice to serve Latino students. She has spent more than three decades at prominent educational institutions and at the highest levels of government working to implement effective strategies to raise academic achievement and opportunity for low-income and minority students. 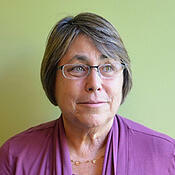 Brown served as Executive Director of the White House Initiative for Educational Excellence for Hispanic Americans under President Clinton, and she currently serves on the Board of Directors for Editorial Projects in Education and Catch the Next. 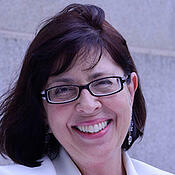 Gabriella Gomez is the deputy director of postsecondary policy and advocacy for the Bill and Melinda Gates Foundation. She leads the team that is responsible for developing and executing engagement strategies to support the scaling and sustainability of the foundation’s work towards the overall postsecondary success agenda. 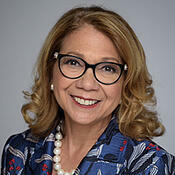 Prior to joining the foundation, Gomez worked at the U.S. Department of Education, leading the Office of Legislation and Congressional Affairs, and also served as the Acting Assistant Secretary for the Office in charge of the overall budget and policy efforts for the agency. 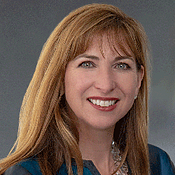 Kristin Hultquist is a nationally-renowned expert in higher education policy and strategy development at the state and federal levels. 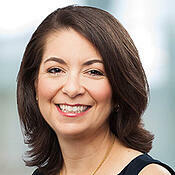 She is a founding partner of HCM Strategists, a public policy and advocacy consulting firm committed to reducing disparities in health and education. Through her work with HCM, Kristin has built and continues to lead a postsecondary practice that has transformed the way nonpartisan expertise helps increase attainment and close equity gaps. Kristin is routinely sought out by states, systems, colleges and non-profit organizations, and has testified as an invited witness to the U.S. Senate and House of Representatives on federal financial aid reforms. Jim Larimore is Chief Officer for the Center for Equity in Learning at ACT, where he leads ACT’s strategy to engage students, families, educators and communities to promote equity in learning and success. 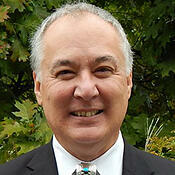 His team develops programs, research and partnerships to improve college and career readiness for all students. Larimore’s career in higher education has focused on college access and student success; he has served as deputy director for student success at the Gates Foundation, and as a student affairs leader at campuses including Stanford, Dartmouth, Swarthmore and NYU Abu Dhabi. 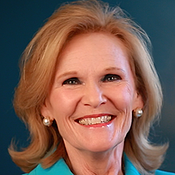 Teresa Lubbers was appointed in 2009 to serve as Commissioner of Indiana’s Commission for Higher Education. She works to increase college completion, ensure academic quality and student learning and align postsecondary credentials with meaningful careers. Prior to joining the Commission, Lubbers served in the Indiana State Senate for 17 years, leading on education and economic development issues as Chair of the Senate Education and Career Development Committee. In addition, she is a member of both the State Higher Education Executive Officers and the Midwestern Higher Education Compact, and the co‐founder of the Lugar Excellence in Public Service Series. Scholarship America is thrilled to have such a distinguished group of higher education champions selecting the 2019 class of Dream Award recipients. 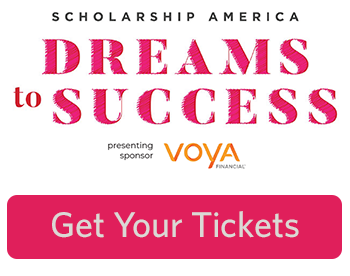 Those recipients will be honored by the Selection Committee — and everyone in attendance — at the 2019 Dreams to Success celebration, May 15 in Washington, DC. We invite you to join us for this inspiring annual celebration!